Casa de Oro Jewelery shops are owned and operated by B.D. Dadlani Jamaica Limited. Mr. B.D. Dadlani has been in business since 1932 and he established and operated his own enterprise in 1958. Since his passing in 1991, the family-owned business, now in its 55th year, has been successfully managed by three generations. Casa de Oro Duty Free stores are situated in the Caribbean Island of Jamaica. Our stores are located in the tourism resorts of Montego Bay at the Shoppes at Rose Hall, in Ocho Rios at the Island Village, in Negril at the Time Square Duty Free Shopping Mall and at the famous Historic RCCL pier in Falmouth. 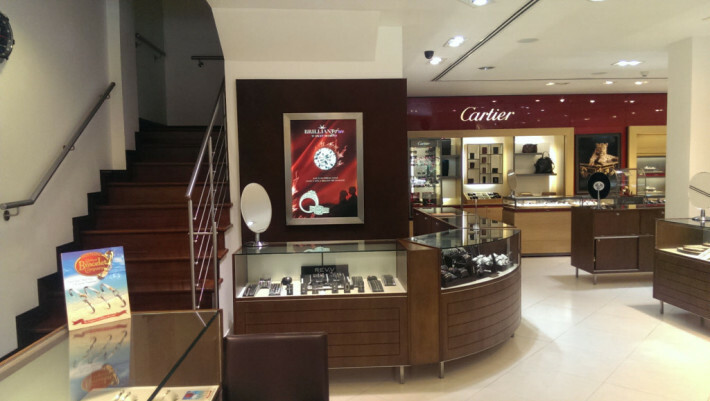 Jewels & Time are family owned Duty Free stores situated in the Caribbean Island of Jamaica. Our stores are located in Montego Bay, Falmouth & Ocho Rios. 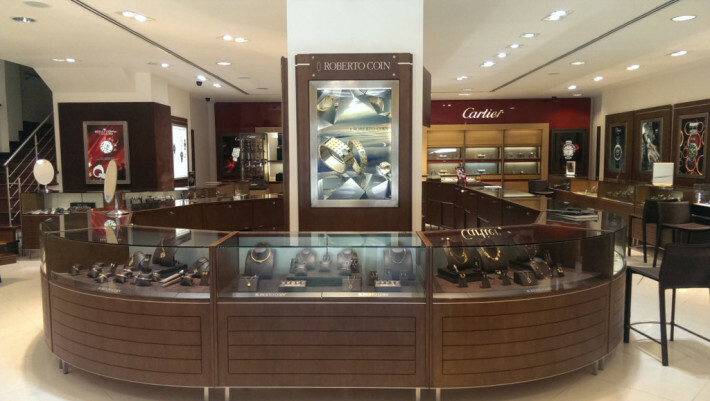 Over 1000 watches on display : Movado, Ulysse Nardin, Zenith, Seiko, ESQ and Frederique Constant. It’s all about colors: white diamonds, blue diamonds, chocolate diamonds, yellow diamonds, green diamonds and all colored gemstones. 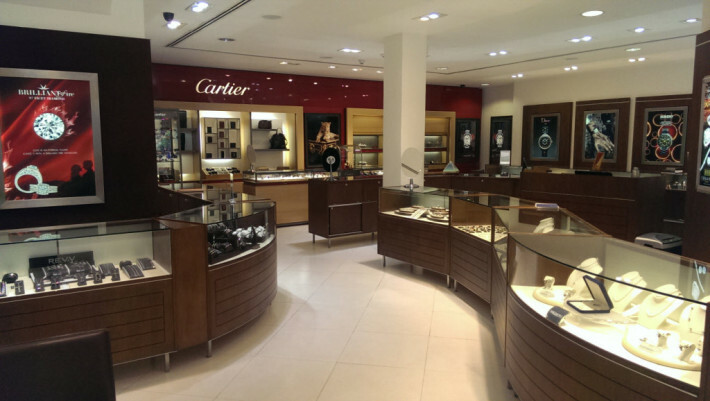 Jamaica's oldest and largest Duty Free Jewelers, we carry the finest brands in luxury jewelry and watches. The Royal Shop is a family owned business that has been established since nineteen sixty-nine (1969). 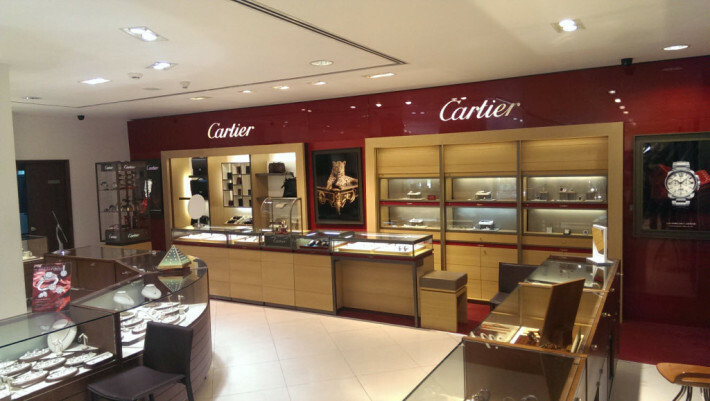 We have the perfect duty free retail operation due to the extensive range of products for all price ranges for all types of persons. 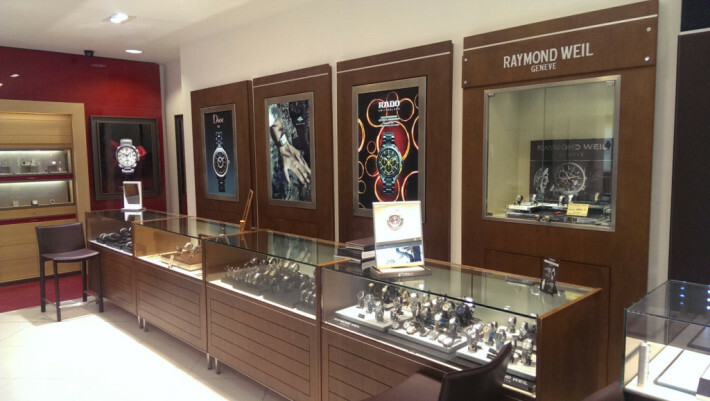 At Tropicana’s you will be able to find the finest collection of timepieces from such brands as Baume & Mercier, David Yurman, Patek Philippe, Chopard, Chanel, Time Force, Alpina. 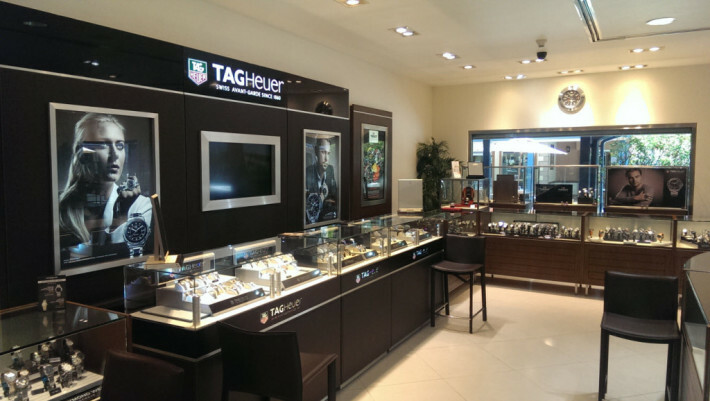 Transform Moments Into Memories - Authorized Duty & Tax Free Retailer in Jamaica for some of the Finest Timepieces and Jewelry.